Browns general manager Tom Heckert is recovering from serious surgery, according to a report from WTAM-AM 1100 in Cleveland. 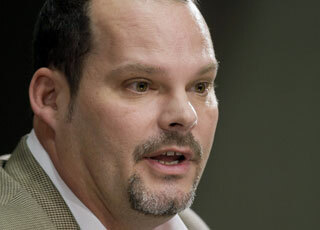 Heckert is not at the Combine, and the Browns have not offered any word on his condition. The Browns had already stated that Heckert is participating in evaluations of players from Cleveland including team interviews with possible players the team may draft. I wish him all the best! I know what that is like. On nov 8 i had open heart surgery ( double bi-pass )and still have a little ways to go before i am 100%.